The Admiral Theatre continues to show guts (and pretty much everything else) with its annual Stripping Dead zombie stripper celebration. 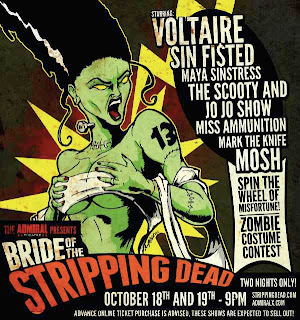 After "Night of the Stripping Dead," "Return of the Stripping Dead" and "Rise of the Stripping Dead," the landmark gentleman's club is unveiling "Bride of the Stripping Dead." 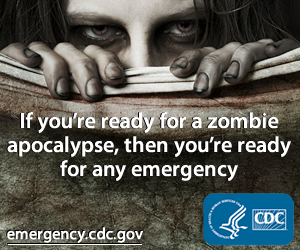 A fan-favorite for zombie lovers in the Midwest, the event takes place Oct. 18-19 and includes a zombie costume contest, and offers a chance to win prizes at the "Wheel of Misfortune." 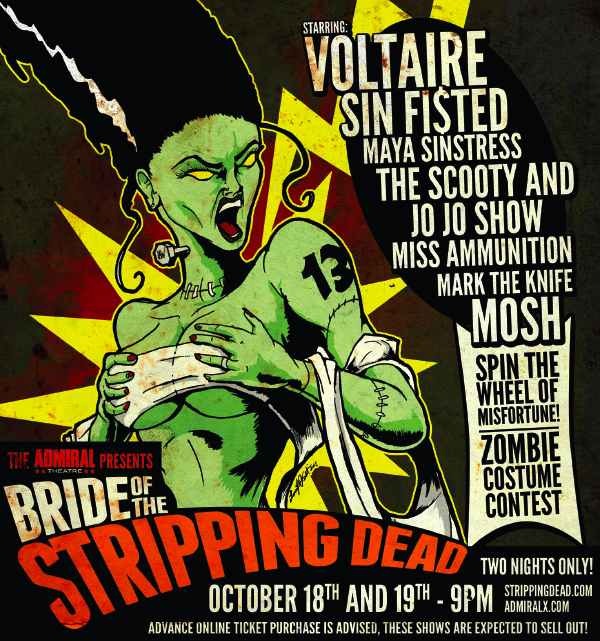 This year the stars of the show are performers Voltair, Sin Fisted, Maya Sinstress and more. OK, so yeah, this is an adult club and there will be nekkidness involved. But the Admiral was built as a vaudeville theatre in 1928, and that classic spirit of off-the-wall entertainment exists with the incredibly popular Stripping Dead events even if you're not particularly interest in checking out the boobies. Check out the video and pics at the safe-for-work site. If you're interested in going, get tickets; the weekend sells out fast. And just a tip for Admiral organizers: After this year's "Bride," next year should be a brunch-themed "Dawn" event. Just a thought.